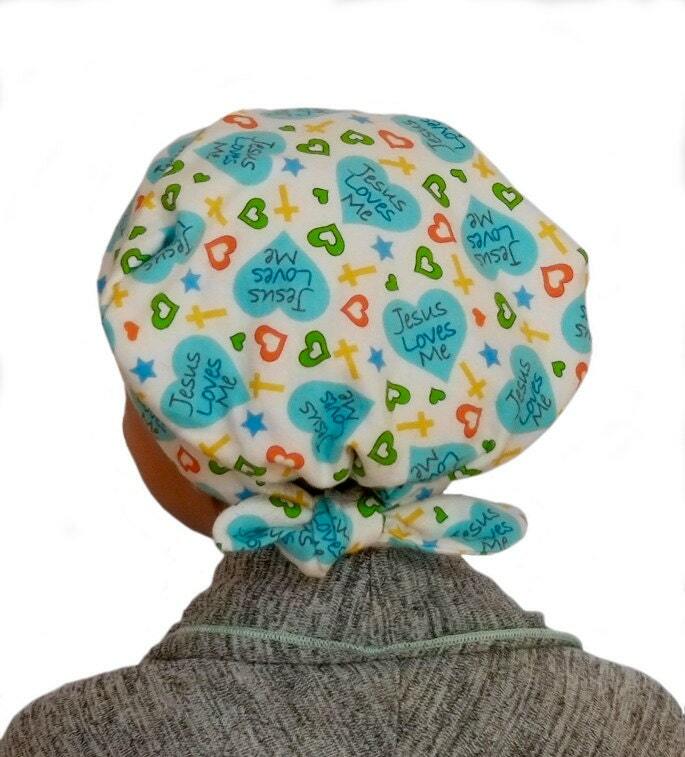 The ‘Jaye’ is a children's flannel head scarf, cancer headwear, chemo hat, alopecia head cover, head wrap, cancer gift for hair loss. A perfect gift for a girl with hair loss. The scarf is fitted to one’s head for full coverage which makes it easy to put on and go with just a quick knot in the back. For warmth, comfort and breathability, all scarves are made with 100% Cotton Flannel and lined with 100% Cotton. *Now available in two sizes. Ages 2 - 4 and ages 5 - 10. *Elastic gathering in the back for adjustable sizing and full coverage. 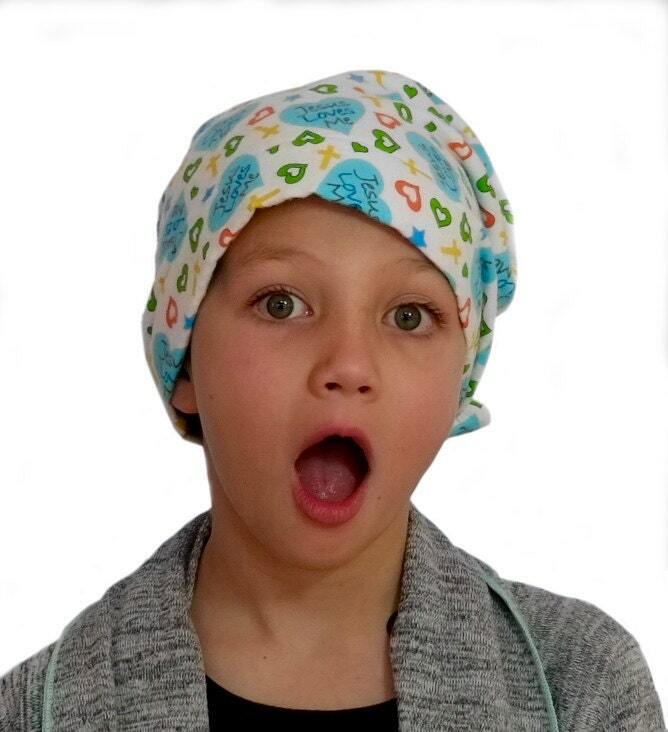 *I use 100% cotton flannel which is warm, soft and breathable, making the scarf comfortable against one’s scalp. *All fabric is washed (before sewing) with gentle, hypoallergenic detergent, which eliminates any chemicals that might have been used while processing and/or shipping fabric. 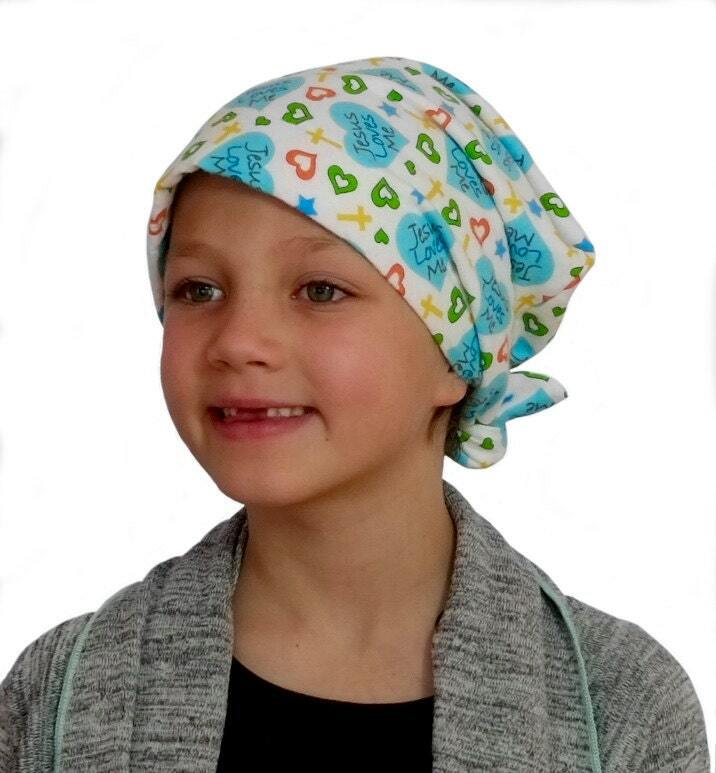 Inspirational HeadCoverings is dedicated to supplying top quality, fashion forward head covers to women and children who have hair loss due to medical conditions such as cancer and alopecia. We are committed to giving 10% of all proceeds to well established organizations that focus on cancer research, education, support services, and financial assistance. By supporting these organizations we hope to help those currently going through cancer and chemotherapy and the ones committed to curing this horrendous disease. Inspirational HeadCoverings accepts most credit cards, Etsy gift cards, and PayPal. Most items will be shipped within 1 - 3 business days of ordering. Most orders are received within a week. Priority Mail the USPS is available at an additional cost with shipping estimated at 1 - 3 days after order is shipped. I put the Priority Mail items on the top of my list and try to get them out the next business day. The customer will receive tracking information to track all packages. ****Any shipments outside United States may be subject to additional customs fees. These fees vary per country and are the responsibility of the customer. Customer satisfaction is our number one priority. If, for any reason, a customer is not happy with the product received, a replacement can be made or a full refund of the product will be given to the customer. This does not include shipping fees, unless an error is made by Inspirational HeadCoverings. The customer must notify Inspirational HeadCoverings within 14 days of receiving the merchandise. Contact can be made through Etsy or by calling (603) 440-4031. 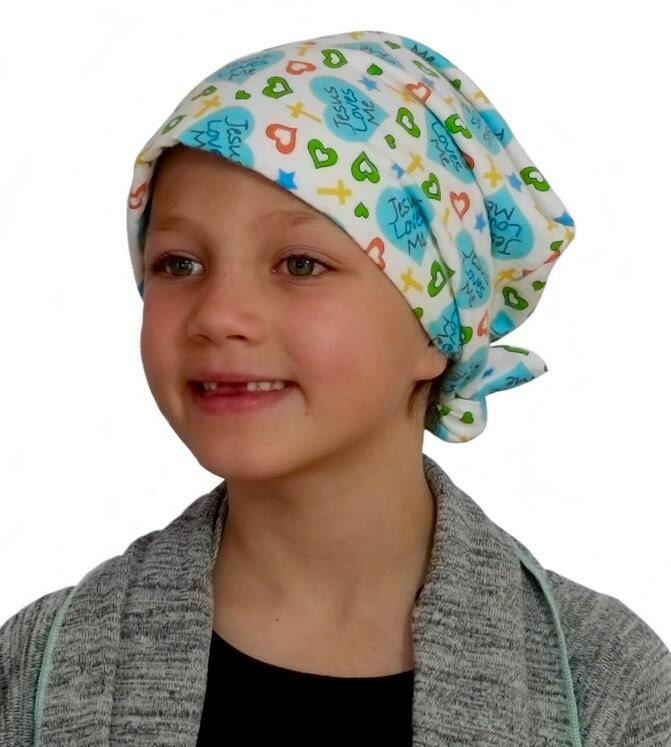 'Jessica', 'Carlee', 'Gabrielle', and 'Ava Joy' scarves are made of Rayon Challis with 100% Cotton lining. They should be hand washed or machine washed gentle, cold water. Line dry or machine dry on low heat. Iron low to medium heat. 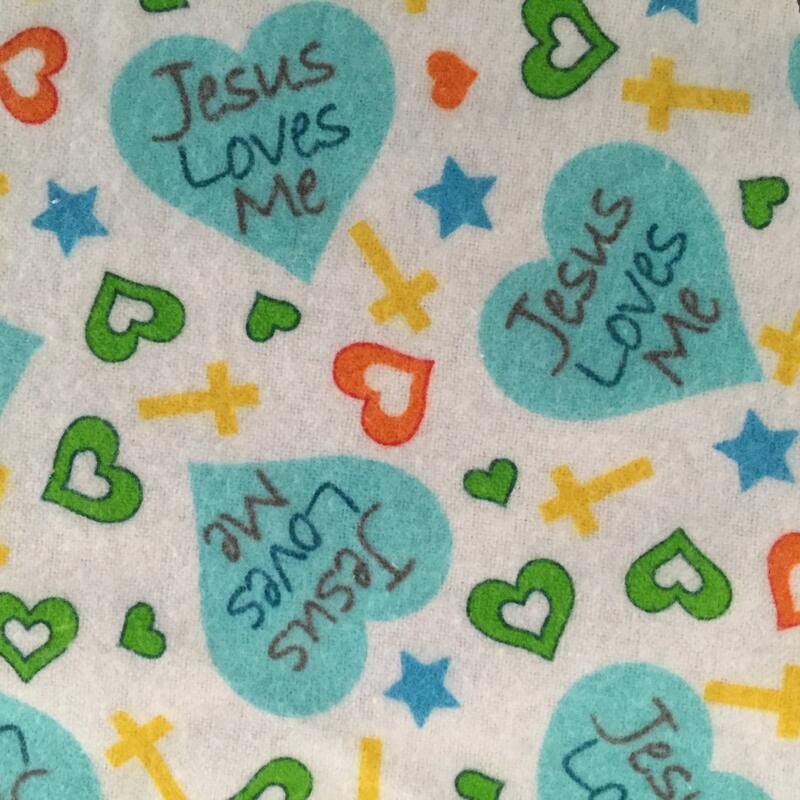 'Sandra', 'Mia', 'Jon', and 'Jenna' scarves are made of 100% cotton. They can be machine washed cold and dried. Please feel free to request custom scarves. *Many (but not all) scarves can be made in Adult as well and Children sizes, so feel free to check fabrics in both categories. I also have fabric that has not been made into scarves yet, so if you have a color/print in mind, feel free to ask if I have anything that meets your criteria. For example, if you have a child that loves dragons, I might have or be able to get material with dragons on it. *If you know that your head size is not typical and you have trouble finding a head cover that fits, please contact me. Sometimes I am able to adjust the size. Gift wrapping is available at an extra fee of $4.00. 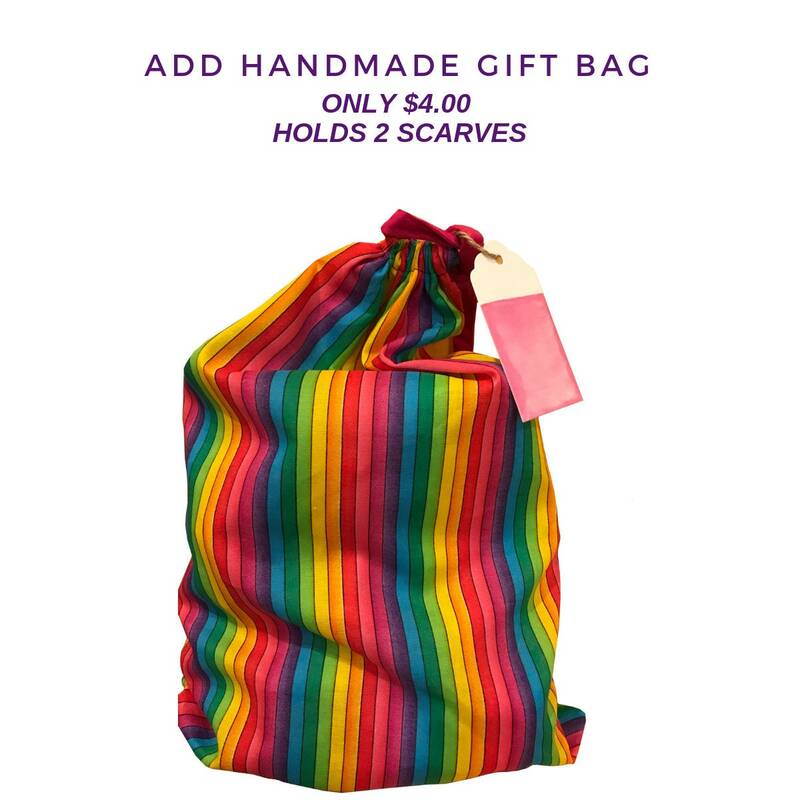 I wrap the item in your choice of handmade burIap bags or handmade rainbow striped fabric bag. Two scarves fit in each bag. Each item is also individually wrapped in tissue paper. I will personalize a note card for any gift (with or without gift wrapping) for no extra charge. A note written on the order form stating what you would like said is all I would need. What are the guidelines for International Custom Fees? Shipments outside United States may be subject to additional customs fees. These fees vary per country and are the responsibility of the customer.